The collection is divided into 10 series that are loosely based on Dr. Young's original organization scheme for his collection. In general, the arrangement of the series reflects the growth of Dr. Young's expertise on Agent Orange, from his early work assessing environmental impact and herbicide application processes to his contributions to health study protocols and public policy development. Additional information on how the collection was processed is provided at the end of this document. The collection begins with military use and evaluation of herbicides (Series I and II). In 1968, Dr. Young was assigned as a project scientist to Eglin Air Force Base, Florida, to investigate the ecological impact of repetitive applications of phenoxy herbicides. Among the documents found in these series are evaluations of spray equipment and aircraft used during Operation Ranch Hand, the tactical project for aerial spraying of herbicides during the Vietnam War. Additional information on the Eglin studies can be found in Series V and X. In 1978, Dr. Young joined the USAF Occupational and Environmental Health Laboratory (OEHL), Brooks Air Force Base, Texas, to serve as a research consultant on dioxin studies, including environmental fate and health risks of human exposure. Series III, the largest of all the series, reflects a shift in Dr. Young's research as he became more involved in the development of health studies. The series has four subseries: Subseries 1 and 2 provide background information and contain many studies of human/animal exposure to herbicides and other chemicals, and Subseries 3 and 4 provide information on selected health studies of Vietnam veterans. During his tenure at OEHL, Dr. Young contributed to the development of epidemiologic studies of American Vietnam veterans, including the Air Force Health Study (Subseries 3). He was also a study participant in the Veterans Administration (VA) Dioxin Fat Assay Study, and his notebook documenting his own exposure to dioxin over the course of his career is found in Subseries 3. Overall, the correspondence and other documents in Subseries 3 provide insight into the political and scientific challenges faced by researchers who were developing health studies of Vietnam veterans. Dr. Young served as an advisor to the Australian Royal Commission, which was formed to investigate the health concerns of Australian Vietnam veterans (Series III, Subseries 4). The response of the Australian government to its veterans can be compared to that of the U.S. government by reviewing the Australian hearing transcripts in Subseries 4 and selected transcripts from U.S. Congressional hearings found in Series VIII, Subseries 1. The focus on human health issues continues in Series IV, but shifts to the exposure of civilians, rather than military personnel, to dioxin and other chemicals. Dr. Young and other Agent Orange researchers shared their expertise on dioxin on several civilian cases, including those in Missouri and Seveso, Italy, (Subseries 1 and 4, respectively). In turn, the civilian cases provided data on exposure levels and subsequent health effects that were of interest to the Agent Orange researchers. Series V to VII provide much of the background information Dr. Young collected on the environmental impact of herbicide use, as well as additional data on the human health effects of exposure to various chemicals. Beginning with Series V, there are animal studies which consist in large part of the rodent studies conducted by Dr. Young and colleagues at Eglin Air Force Base in the early 1970s. These are followed by additional studies on the impact of herbicide use on animals, plants, soil and water in Series VI. Series VI, Subseries 3, is of particular interest since it contains information on the environmental studies conducted by the USAF (with Dr. Young as a principal investigator) to determine the best method of disposal for surplus inventories of Agent Orange. 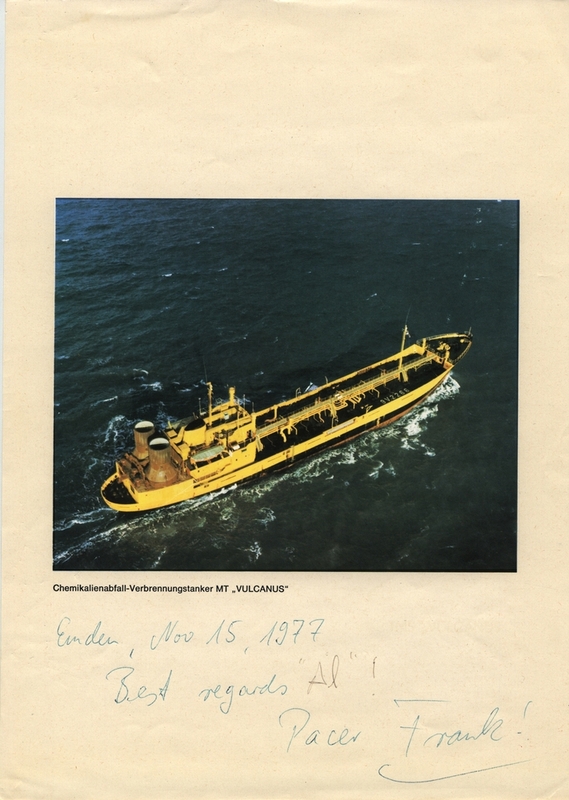 Information on the disposal method ultimately selected (i.e., Project PACER HO--high-temperature incineration of Agent Orange at sea) is included in Subseries 3. Finally, Series VII provides background information on phenoxy herbicides, dioxin and arsenic, a component of Agent Blue, another herbicide that was used during the Vietnam War. Series VIII and IX are concerned with the "Agent Orange Controversy," which ignited in the 1970s due in part to the airing of a special report for television entitled, "Agent Orange: the Human Harvest" (see Series VIII for program transcript). The documents in these two series provide some idea of the complicated interplay of social, political, scientific, and legal forces involved in the controversy. At the time that the controversy erupted, Americans were coming to terms with their country's involvement in Vietnam, the environmental movement was gaining momentum, and people were challenging the use of many chemicals, whether for domestic or military purposes. Vietnam veterans were also finding their voice and expressing their dissatisfaction with the VA's services and the overall response of the U.S. government to their health concerns and requests for compensation. As the Agent Orange Controversy grew, Dr. Young became more involved in public policy, providing expert testimony at hearings and serving as an advisor to the VA on major scientific programs and policy decisions related to Agent Orange. Information on several different lawsuits and hearings, including the Agent Orange Product Liability Litigation, are found in Series VIII, Subseries 1. Correspondence and other documents from Dr. Young's term on the Agent Orange Working Group (AOWG) are found in Subseries 2. The AOWG was formed in 1981 to guide and monitor all federal research into possible adverse health effects of Agent Orange. The VA is featured in Subseries 3, which contains documents from the VA Advisory Committee on Health-Related Effects of Herbicides, established in 1979 to monitor the VA's continuing inquiry into the possible health effects of Agent Orange on Vietnam veterans. The bulk of Series IX is clippings from newspapers and magazines. These articles provide additional examples of the reactions of the scientific community, politicians, media, and average citizens to the Agent Orange Controversy as well as to other related issues, such as biological warfare, industrial pollution, and civilian exposure to industrial releases of chemicals. Series X contains a mixture of items, some of which were donated by Dr. Young in April 2002, after the main collection was processed. The series includes memorabilia from Dr. Young's career, such as award plaques, his research notes from the Eglin studies and selected aerial photographs of Eglin Air Force Base. There is also a small collection of journal articles written in various foreign languages with no corresponding English translation. 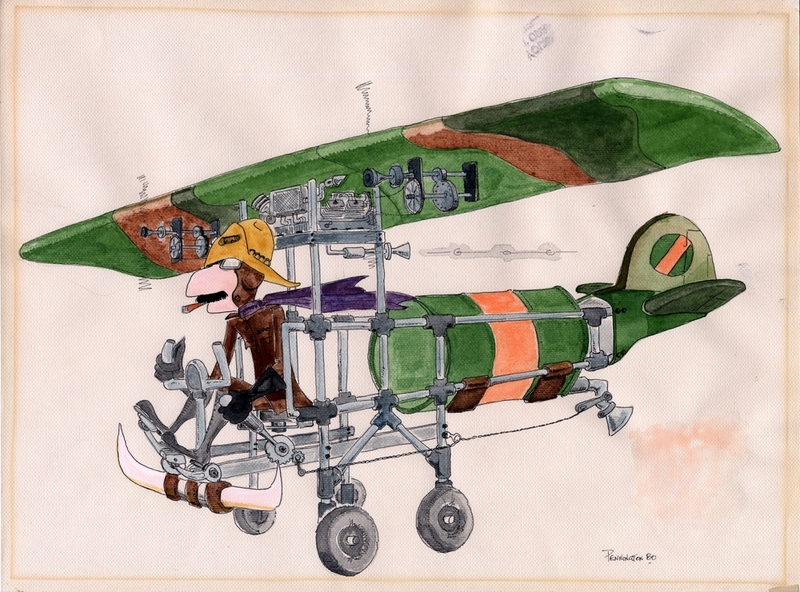 Caricature: Operation Ranch Hand pilot flying C-123 with Agent Orange drum on board, signed "Pennington 80." Note the identifying orange stripe on the drum and the pilot's purple scarf (a symbol of the Ranch Hand pilots). The Agent Orange Collection was selected by NAL in 2000 to be processed for improved access and for digital preservation. With funding provided by the USAF, a plan was developed to describe and scan each item in the collection. A database was created and a thesaurus was partially developed. After organizing the items into series, the plan for each item was to: create a bibliographic record in the database; assign one to four thesaurus terms; and scan cover-to-cover and create a GIF file (stored on CD-ROM). The GIF files would be reviewed for quality control and converted to TIFF or JPEG for final storage on CD-ROM.